They arrived today! Our wonderful New Zealand neighbours. Our children are ecstatic and it’s magic for us adults to see them all together. Their ages span from three to ten, but all five children (three of them being our crazy girls) are like a little family in their own right. They mix up play between them all and have so much fun together. We have yet to get a photograph of them all together (any attempts are faced with silly faces, ducking behind pillars and under tables, diving under the water or behind a Christmas tree… sigh!). 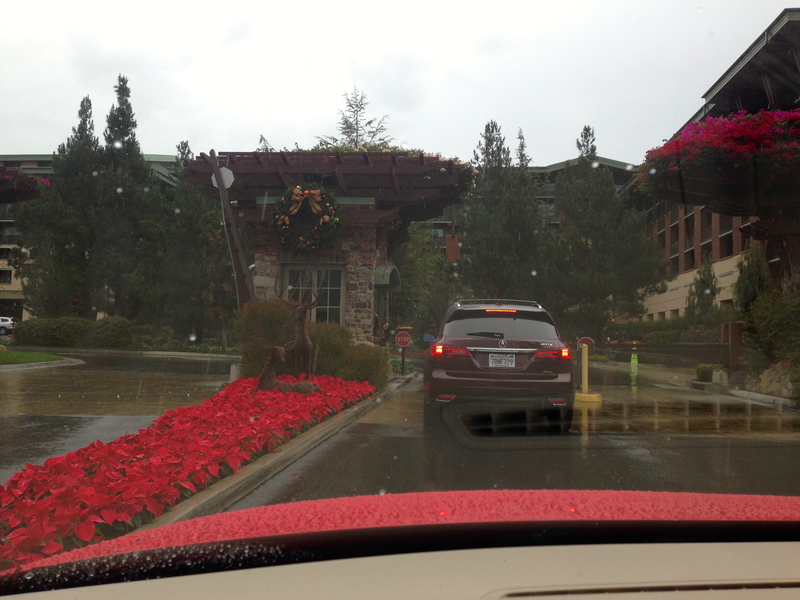 We left sunny Santa Barbara at 9.30am this morning and arrived in a rainy Disney just after midday. 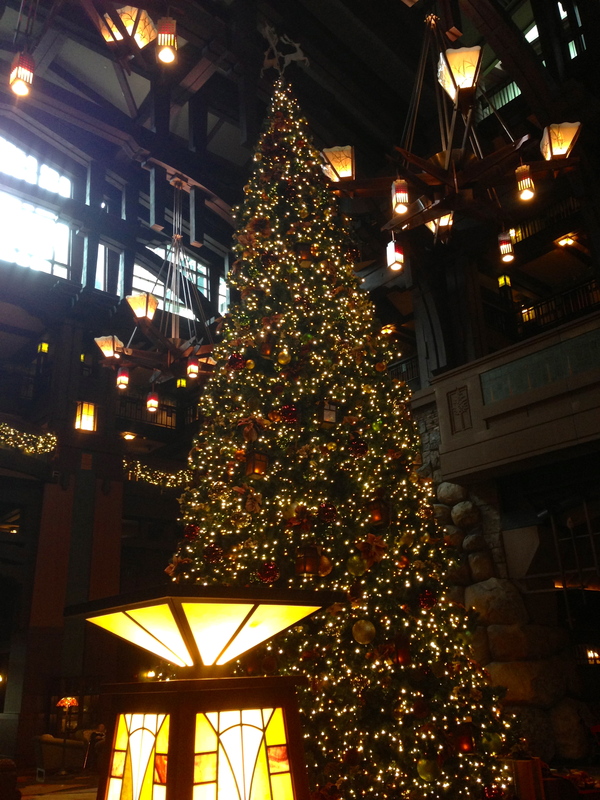 The sight that greeted was beautiful Christmas poinsettias and the biggest, twinkling Christmas tree in the entrance room of Disney’s Grand Californian Hotel & Spa. Very magical indeed! Within half an hour of us arriving at the hotel, our dear friends arrived (we’d arranged a limo to pick them up at Los Angeles Airport after their long haul flight from New Zealand). I was relieved the drive wasn’t as bad as I’d anticipated (imagine the worse and it can only be better – right?!). 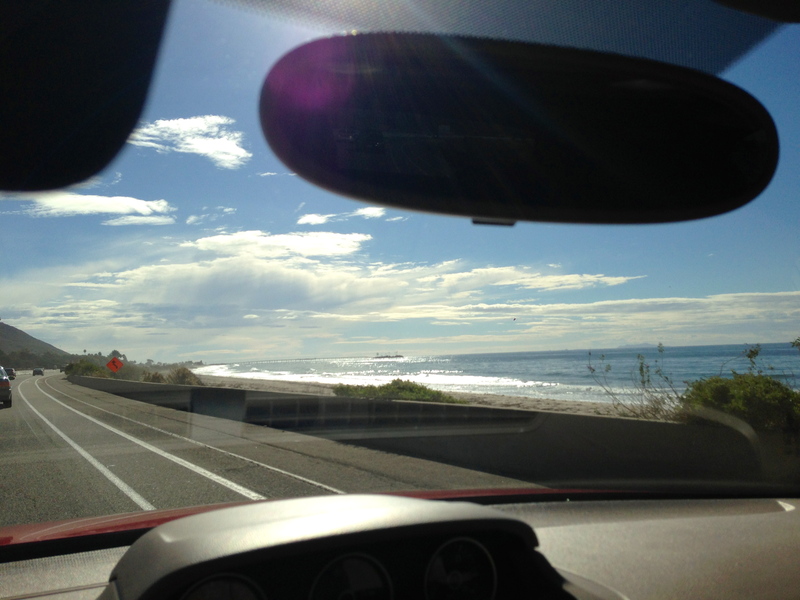 With only Miss 3 as my passenger in my lovely turbo VW red bug (the other two drove in comfort with their Dad – who I tailed most of the way through LA), it was a surprisingly relaxed drive. She slept half the way, and spent the remaining half of the journey happily taking in the scenery. – before hitting the outskirts of LA and five lanes of highway in each direction (that’s when I refrained from being a speed demon, leaving my husband to chase my tail, and took time out to follow his tail through the heavier traffic and lane switches to keep us in the right direction for Disney!). Our first afternoon together has been so much fun and it’s as though we’ve never been apart. Our friends had incredible stamina to stay awake till 10.30pm pacific time here (after not getting much sleep on their long haul from NZ). The children even all managed a swim in the hotel pool at 9.30pm! I’m now signing off, as this Disneyland stuff takes a lot of stamina (whilst my dear hubbie is still out in the park – with our two eldest daughters – and it’s close to midnight!). He sent this pic and I can’t WAIT to see this with my own eyes tomorrow! Good night from here, sweet dreams and may all your wishes come true! Linking this post up with my lovely friend Meghan in Wellington, New Zealand, who really makes the most out of life. 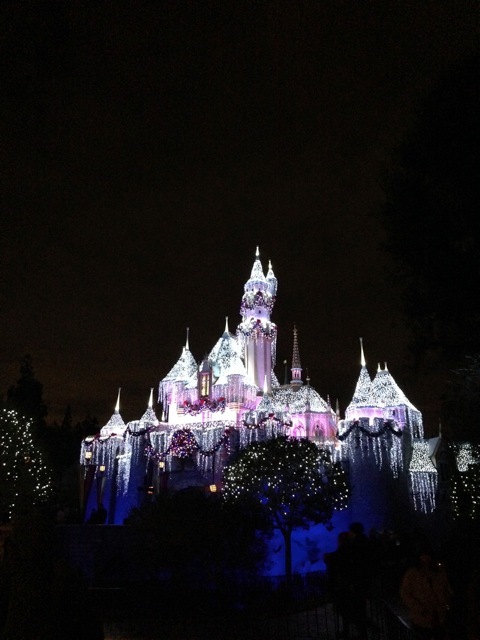 Adventures, Things I'm Loving California, christmas tree, Disney, Disney's Grand Californian Hotel & Spa, Disneyland, friends, Holidays, neighbours. permalink.